Remington Outdoor Company (Remington) will open a big new factory in Alabama. Remington, formerly the Freedom Group, encompasses 18 brands in the gun-making and outdoor industry. According to the Military Times and Alabama news media, Remington will be opening a 500,000-square-foot production facility near Huntsville, Alabama. This could bring as many as 2,000 jobs to the Huntsville area. The new plant is not earmarked for a specific brand in the Remington family, so it could produce a variety of firearms products. (Remington also operates factories in Kentucky and New York, and an ammunition plant in Arkansas.) After necessary build-outs, the Huntsville plant is expected to start production in 2015. Meanwhile, New York state officials are claiming that Remington’s plans to open a new plant in Alabama will not take jobs from Remington’s major factory in Ilion, New York. A spokesman for N.Y. Governor Cuomo posted: “Some are misinformed, others gleefully spreading misinformation, but to be clear, no Remington jobs are leaving NY.” Remington currently employs about 1,300 workers at the one million-square-foot Ilion manufacturing plant. Despite New York state officials’ reassurances, the long-term fate of the Ilion plant (and N.Y. jobs) is unclear. Eight months ago, Remington stated: “Remington will not run or abandon its loyal and hard working 1,300 employees without considerable thought and deliberation.” That doesn’t sound like an unequivocal commitment…. “Before settling on Huntsville, the company was courted by no less than 24 states and various localities hoping to add hundreds of new jobs to their economies. The selection of the Huntsville area makes sense, with a skilled and technical workforce already in place. The area is home to the Army’s Redstone Arsenal, which has 35,000 military and civilian employees. Share the post "‘Sweet Home Alabama’ — Remington Heads to Huntsville"
If you want to learn how to shoot accurately at very long range, one of the very best places to learn is the Williamsport 1000-Yard Benchrest School. The 7th Annual Benchrest School will be held Friday June 6 through Sunday June 8, 2014. 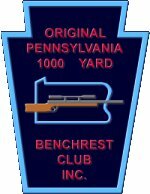 Classes, taught by top 1K shooters, are held at the Original Pennsylvania 1000-Yard Benchrest Club Range, one of the best 1K ranges in the country. View the range on the Williamsport website, PA1000yard.com. Prospective students will be taught all aspects of long-range benchrest shooting by highly skilled instructors. All areas are covered: load development, precision reloading, bench skills, and target analysis. Much time is spent at the loading bench and on the firing line. And you don’t even need guns and ammo — all equipment and ammunition will be provided. For $300 students will enjoy 1 night and 2 days of intensive training under the guidance of some of our top 1000-yard shooters. The sign-up deadline is June 1st. To reserve a spot or get more info, email School Director/Vice President Ryan Miller: ryanmiller @ htva.net. On Friday night (June 6th), students will meet their mentors. Saturday (June 7th), the class moves to the range for a full day of hands-on technical training. Topics will include precision reloading, load development, gun handling, use of chronograph, analysis of shooting results, gun cleaning, and target analysis. The club will provide the rifles and all reloading components. Saturday’s training sessions are followed by a steak dinner which is included in the $300 seminar price. On Sunday (June 8th), after an early training session covering bench set-up and match strategies, students will participate in a 1000-yard match, spending time both behind the trigger and in the pits. Instructors will explain how to read conditions, and will demonstrate target measuring and analysis after the relays. The program wraps up by 4:00 pm on Sunday. Share the post "Williamsport Now Taking Reservations for 2014 Benchrest School"